With my spine on the mend after a week off at the family home, I've been able to get much more hobby done over the last few days. 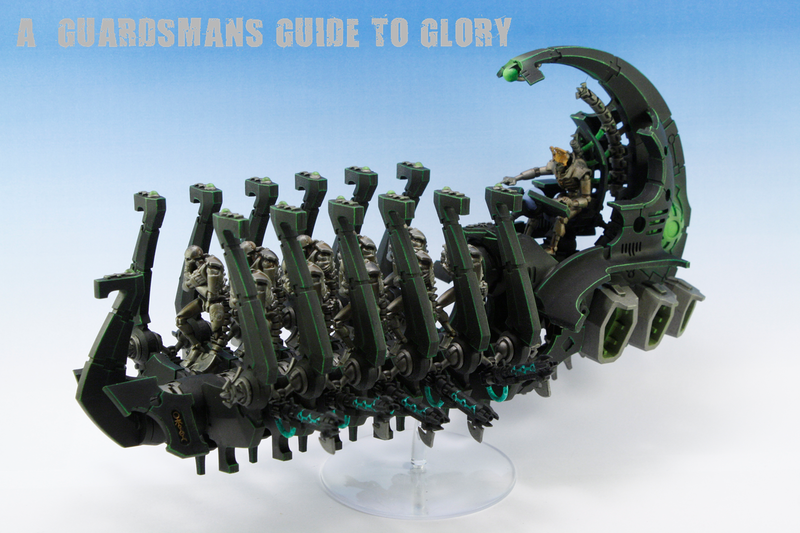 First up its the second and last Ghost Ark for my Necron list. There was a bit of a drama yesterday after i completed this model! I got a bit trigger happy with the spray varnish, and as a result, i made about 50% of the vehicle 'fluffy' with excess varnish! ARGH! This morning I've had to repaint one side of the Ark to put it right! Very frustrating but its done now! You may remember the Pump Station i made a few weeks ago for the Apocalypse Terrain: Sewage Works project. Well, the completed building has been sitting on my desk untouched since i posted about it! Today it was time to get this thing painted. With an 2 day Apoc' game coming up at the weekend, i wanted to get this done ready for the big game! This is where i am at the moment, but i hope to have this guy completed by the end of the day. Your skill and dedication to completing your terrain pieces shames me. I've only made one piece of terrain, an upside down coke can with a base, painted gray-ish with an Aquila and some ID numbers. It's not even big enough to hide much behind. You could hide another coke can?